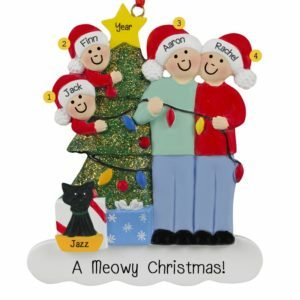 Personalized Ornaments For You would like to wish you a Meowy Christmas! 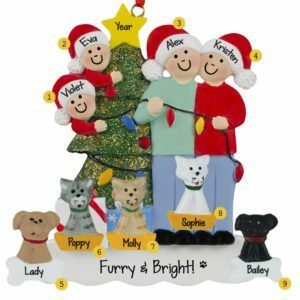 Your cat may not be human, but they don’t know that. 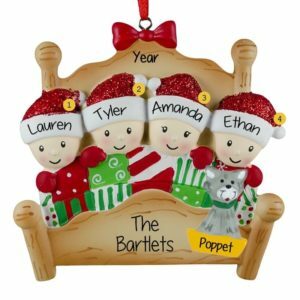 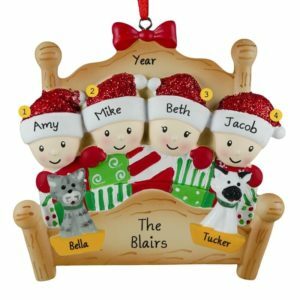 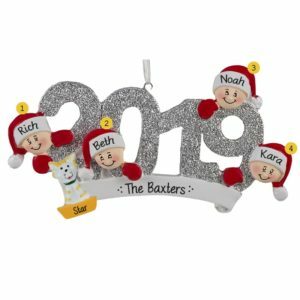 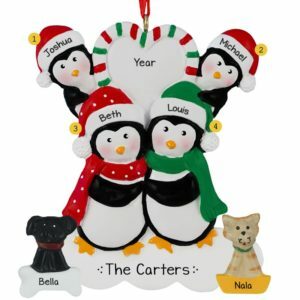 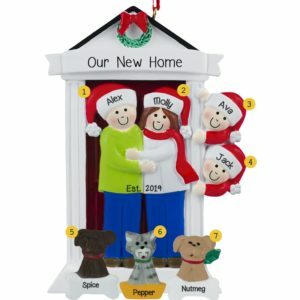 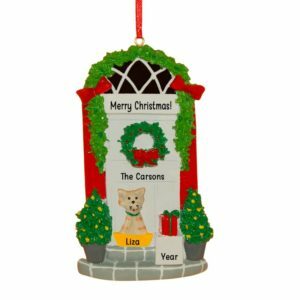 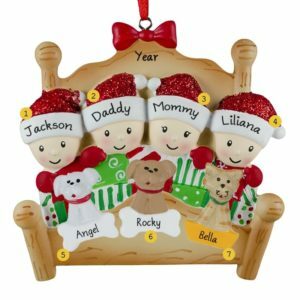 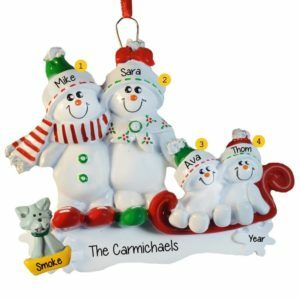 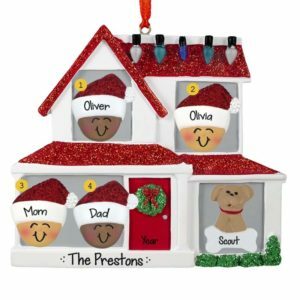 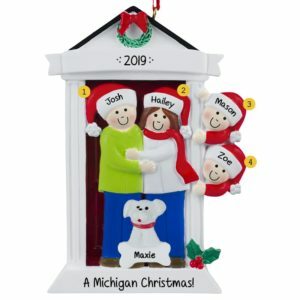 They think they are just a smaller member of the family, so be sure to include them on all of your personalized Family of 4 with cat Christmas ornaments. 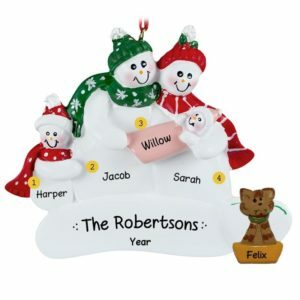 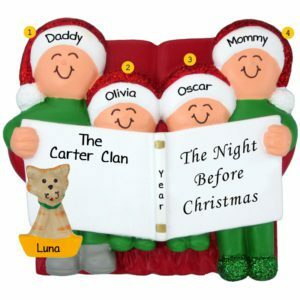 Our huge selection of family of four collectibles will thrill the recipient. 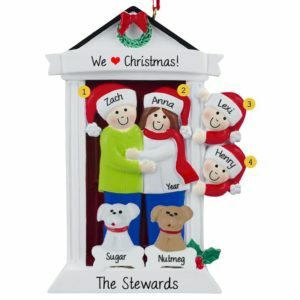 They will know you selected the purr-fect keepsake when they see their furry best friend included in the scene too! 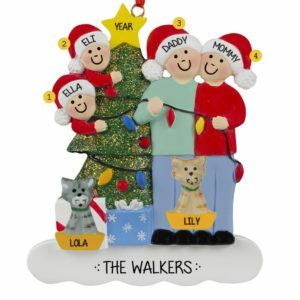 Even Santa Claws doesn’t bring awesome customized holiday decorations like this! All of our customized gift ideas for a family of four plus kitty will be lovingly hand personalized by one of our trained writers. 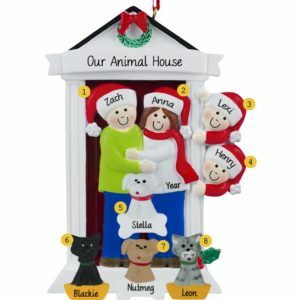 Commemorate a kitten’s 1st Christmas, or the first Christmas together with a newly adopted shelter pet.